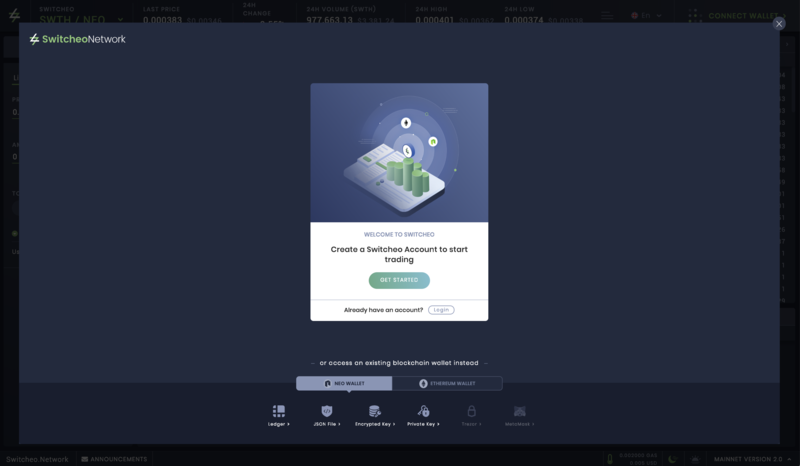 Read on to find out how to create your very own Switcheo Account. 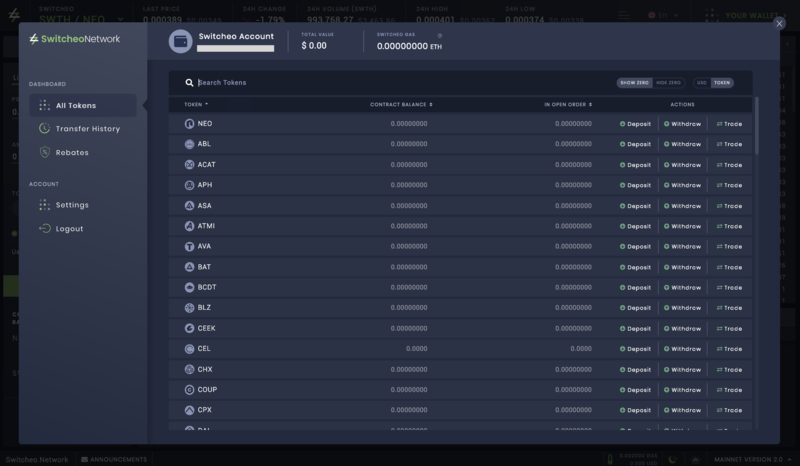 By using Switcheo Account, users will be able to trade on all chains without requiring separate wallet and software for each of the blockchains. As a good security practice, check that Switcheo's SSL certificate, "Switcheo Exchange Pte Ltd [SG]", is visible in the address bar to ensure that you are not on a malicious site. 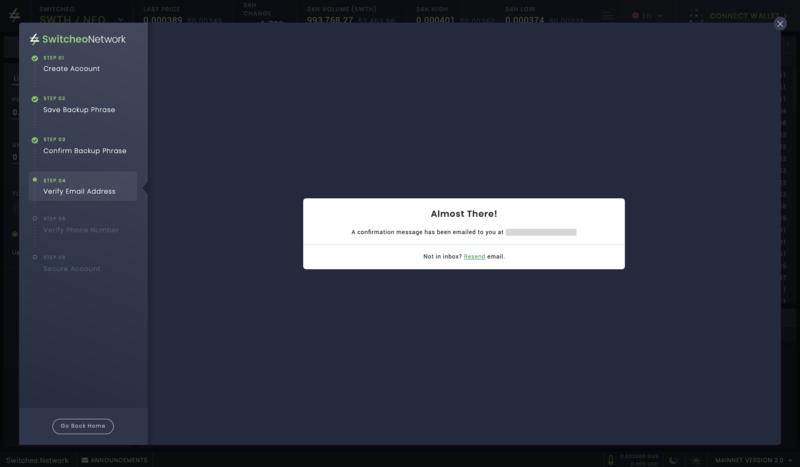 Also, always check that you are visiting https://switcheo.exchange. 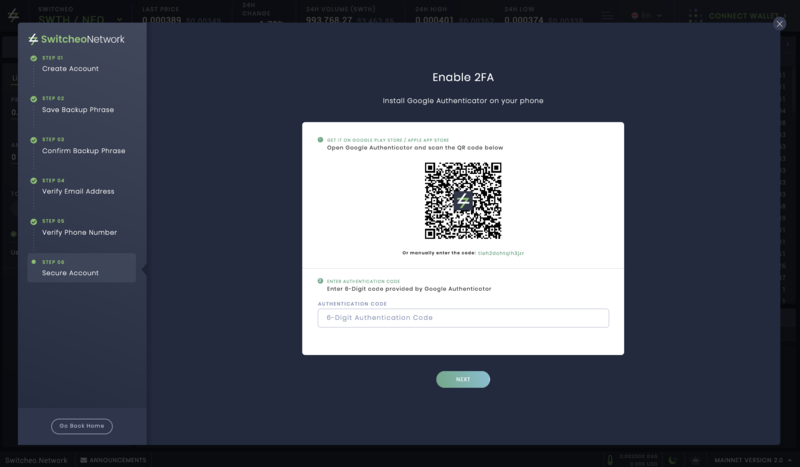 On the top right, click on "Connect Wallet". Click on the button "Get Started". After which, you will be presented with the next screen. Key in your email address and password. Create a secure password that you have not used elsewhere, and it should be at least 11 characters long. Your funds will not be safe if your password has been compromised. Please provide a valid email address as a verification email will be sent. 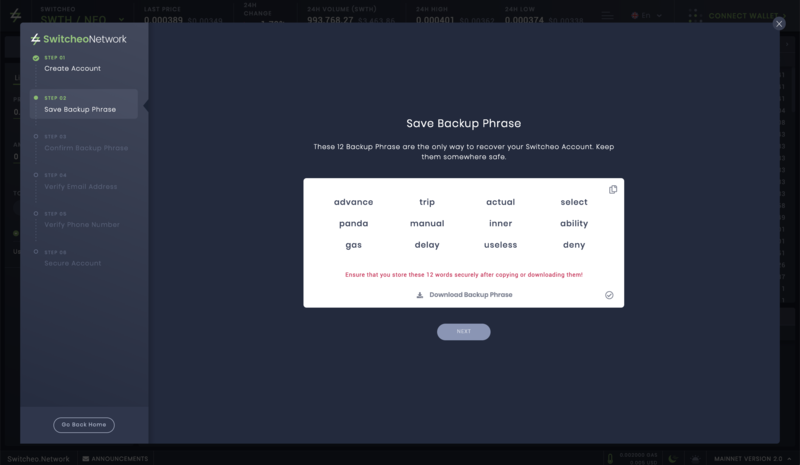 Once you have created a Switcheo Account, a 12-word Backup Phrase associated with your account will also be generated. 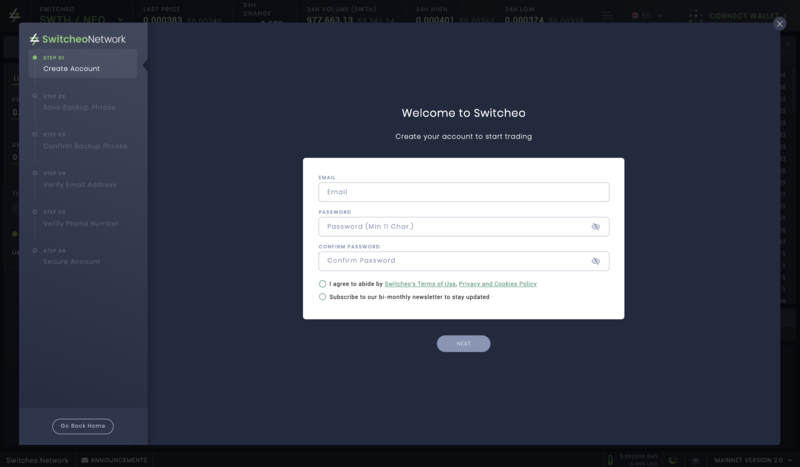 Download and keep it somewhere safe as this is the only way to recover your Switcheo Account. 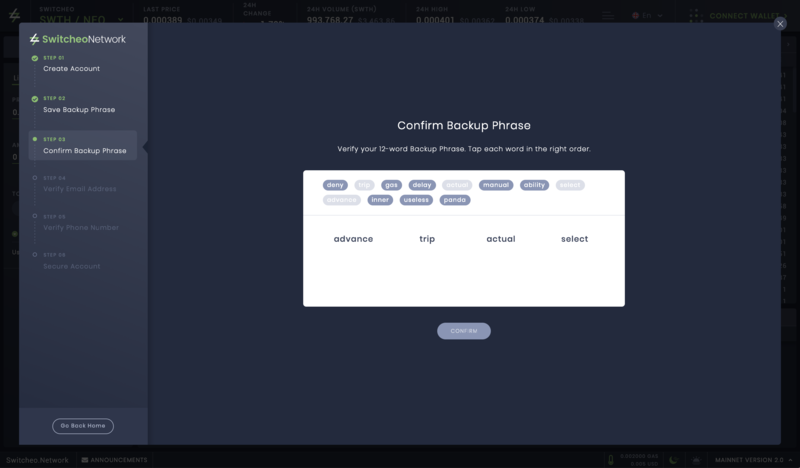 You will lose your funds if your 12-word Backup Phrase is compromised. Verify your 12-word Backup Phrase by tapping each word in the correct order. Please note that you will only be able to proceed to the next step after these 12 words are selected correctly. Once done, click "Next". A verification email will be sent to you. Please click on the link and verify your email address to complete your registration. A verification email will be sent to your registered email address. In order to ensure the security of your account, add in your phone number and set up Two-Factor (2FA) Authentication. 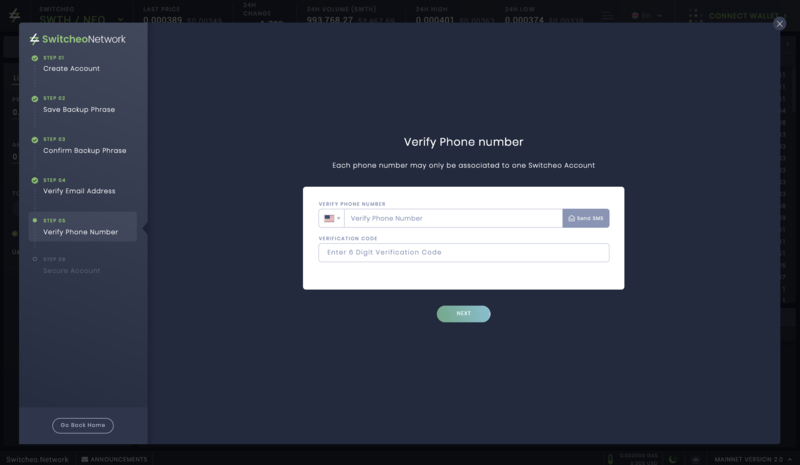 We will send you a text message with a verification code that you'll need to enter in the input field below. Add an additional layer of security by enabling 2FA. 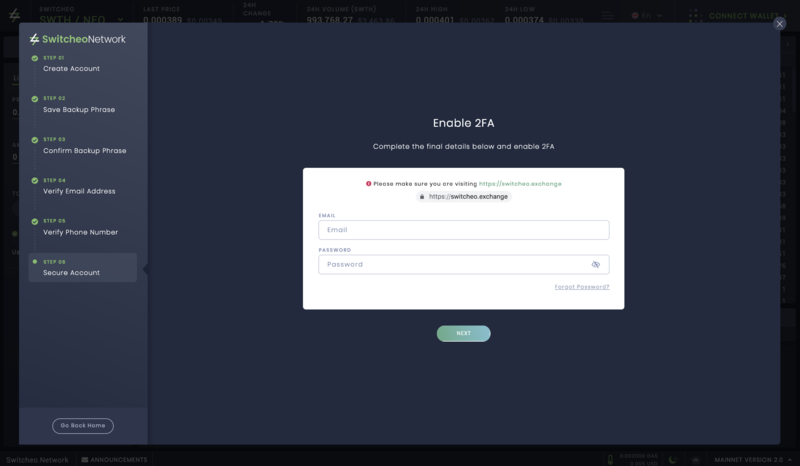 A new Ethereum and NEO wallet address (tied to your account) will be created upon the creation of your Switcheo Account. 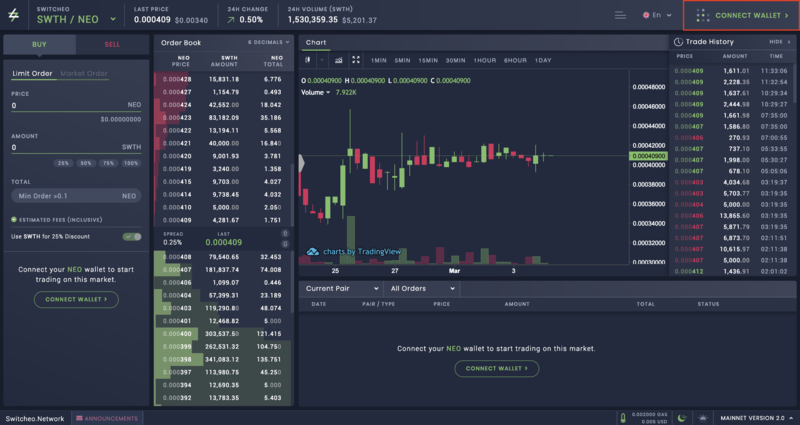 Under Actions on the top right, click on "Deposit"